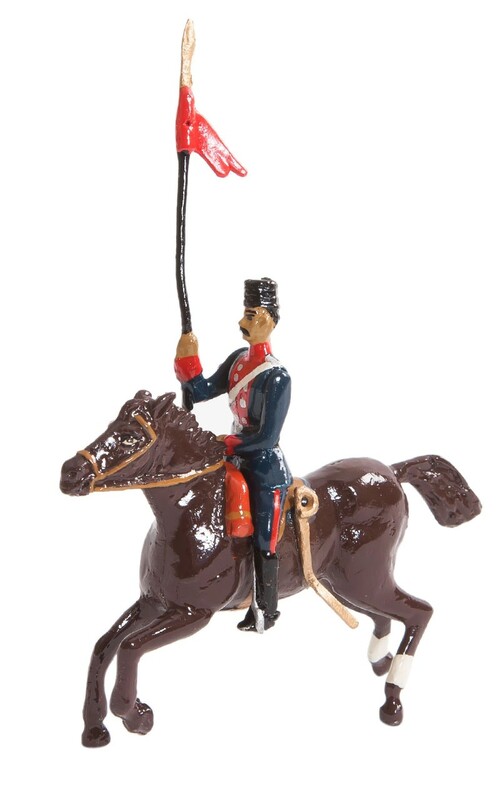 Toy Soldier Ertugrul Regiment Flag Bearer figure has been painted and assembled according to traditional methods in Gallery Alfa Antiquary Lead Soldier Workshop. It's presented within a special box with sponge. Material and dimensions: 54 mm polished lead. 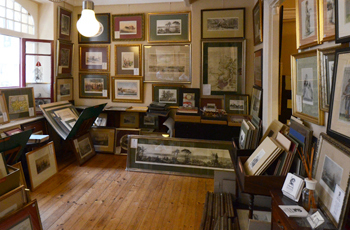 Gallery Alfa Antique Store, established in 1989 in the quarter of Cukurcuma, Beyoglu in Istanbul by Marianna Yerasimos and Ali Özdamar, is the first antique store specializing in engravings and antique maps in Turkey. Beyond selling these most extensive and stunning collections of rare antiques, important fine art and breathtaking Ottoman engravings and antique maps, the Gallery is an expert on these works of art, a collector, a counseller of art, a restorer for fine arts, an artisan recolouring these precious engravings and manuscripts. 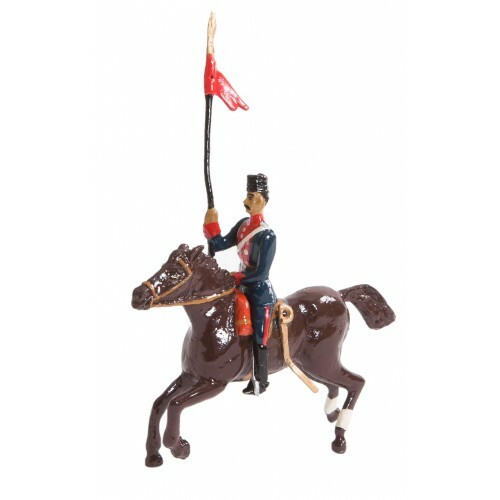 The Gallery has initiated the production of lead alloys-( made of lead & tin ) toy soldiers sets - of Ottoman Royal Army, The Jannisarries in 1993 for the first hand in Turkey along with their extensive inventory of works of art. While producing these lead alloys that could be called toys for adults, we studied on soldier figures and catalogues of old army costumes to find out the best figure and costume for each toy soldiers sets that either for the beginning enthusiasts or for the most sophisticated collector. In addition to the expertise and credibility on works of art, the Gallery have held many elegant exhibitions organized between 1990 and 2006 in major cities of Turkey. Gallery Alfa had been directed between 1990 and 2006 by Dr. Ayse Yetiskin Kubilay, (art historian) who took over the Gallery since June 2006.